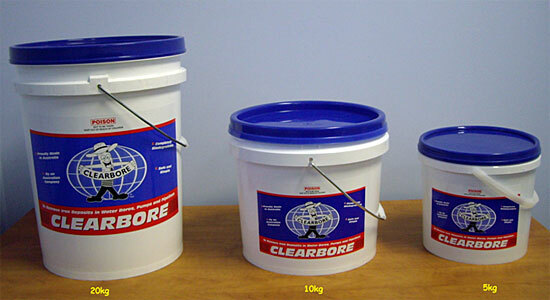 CLEARBORE - The leading water bore and water pump cleaner. 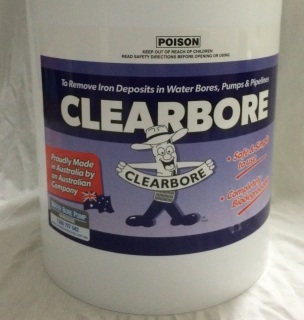 Biofilm and encrustations in water bores, pumps and irrigation equipment caused by dissolved iron and Iron-related bacteria build up are simply dissolved away by Clearbore water bore pump cleaner. Clearbore is a safe, biodegradable and effective product for cleaning water bores and water pump systems. 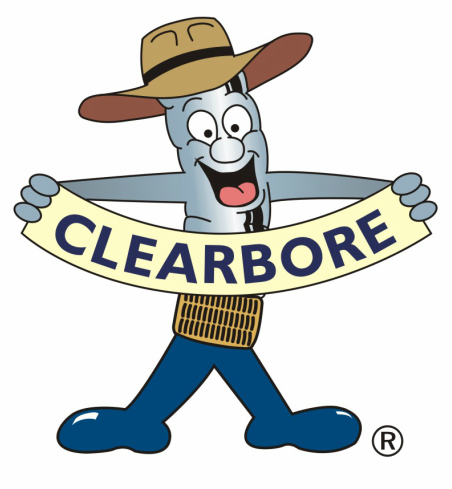 Clearbore is a biodegradable granular chemical product designed to remove the blockage of iron and hard encrustations that result from dissolved iron and iron-related bacteria build up. One of the problems associated with groundwater extraction is loss of efficiency caused by the interaction and build up of dissolved iron and iron-related bacteria. 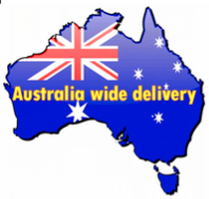 Very often such blockages can lead to the abandonment and subsequent replacement of bores. In extreme cases mechanical cleaning of the bore and pump system may be necessary to remove the encrustations and build up to ensure the effectiveness of the Clearbore treatment. Once the rejuvenation is complete, the bore's performance and water quality should be improved and can be regularly monitored. Regular Clearbore treatments should be carried out as determined by monitoring the output of the bore and pump system. As a guide we recommend using Clearbore every 12 months to keep the bore in an efficient and clean condition. Encrustation of Water Bores due to Iron Bacteria, Iron-related bacteria occur naturally in groundwater and are increasing rapidly throughout the world. Confirming the Presence of Iron-related bacteria. Determine the pH of the bore water and carry out a specific capacity test for comparison purposes after the treatment. Carry out the Clearbore treatment as per instructions. After the Clearbore treatment, pump out the bore until the pH is within 0.5 units of the pH value before treatment, or use the test solution supplied in the Clearbore pail. Wrapped with the results of the 10kg I grabbed from you last week! Have paid the invoice for 3 x 20kg of Clearbore.